My friend Assaf Araki is organizing the AI Week Nov 17-21 at Tel Aviv University. It is going to be the first national AI event with around 2000 participants. Dr. Ben Lorica, chief scientist of O'Reilly will be one of the speakers along with Prof. Amnon Shashua, CEO of MobileEye. Another interesting event is the AI Data Science Summit - May 21 in Jerusalem. It is a follow up event organized by Avner Algom of our European Data Science Summit. Prof. Oren Etzioni from the Allen Institute for AI is one of the keynote speakers. Hacking Deep Learning (Bar Ilan) Workshop Videos now online. Thanks for my friend Prof. Yossi Keshet for organizing and inviting me! One notable talk which is unfortunately missing from the videos is of Prof. Adi Shamir described in this paper. The work analysis how many pixels one should change to confuse a deep learning based classifier. The result is surprising - only a few! A related describe work is this. 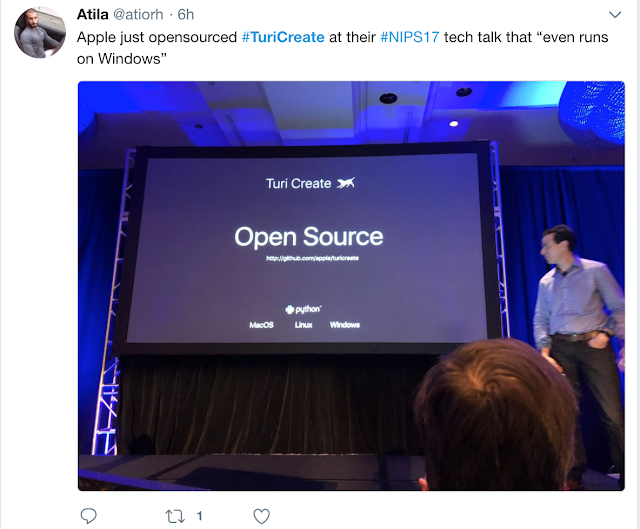 This year, Tel Aviv will host UAI http://auai.org/uai2019/ (July 22-25). Several students have been able to attend the conference and present their work thanks to the generosity of your institutions. We hope that you will continue to support us this year as well. You can find more information about sponsorship packages here http://auai.org/uai2019/sponsorships.php . Feel free to reach out to Nick in case you are interested in sponsoring the event. Data Artisans is the company behind Apache Flink - the European answer to Apache Spark. According to this news article Alibaba acquires Data Artisans. I wrote back in 2014 on Apache Flink project. My friend Joseph (Yossi) Keshet have recently released work for fooling deep learning systems. His work got a lot of attendion including MIT Technology Review and the New Scientist. Nice work!! According to VentureBeat Dataiku just raised 28M$. Dataiku has a web based platform for data science. Here is my personal connection. 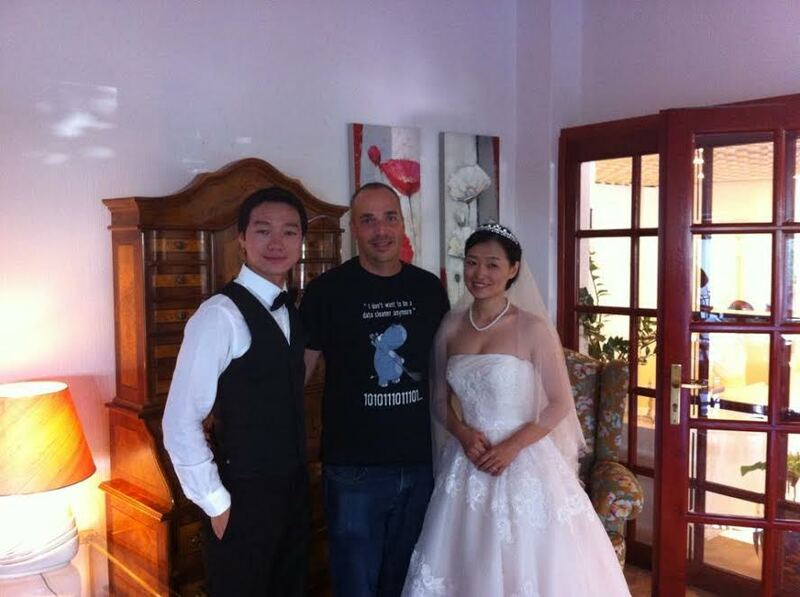 Strangely last time I wed a couple I was wearing their t-shirt. Unrelated, I just learned from my colleague Brian that Cloudera just acquired Fast Forward Labs, which is the company behind Hilary Mason. I visited Hilary in her offices a couple of years ago and learned they had an interesting consulting models of sharing periodical tech reports for educating data scientists to become more proficient. Congrats Hilary!